Researchers have succeeded in an experiment where they get an artificial atom to survive ten times longer than normal by positioning the atom in front of a mirror. 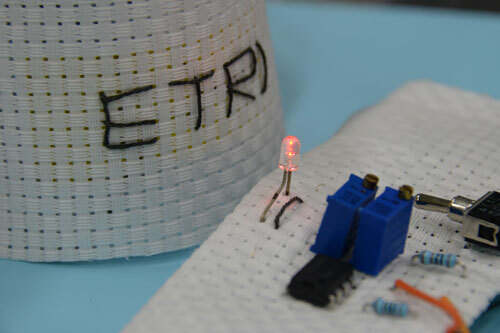 Scientists have developed wearable, graphene-coated fabrics that can detect dangerous gases present in the air, alerting the wearer by turning on an LED light. Magnets are well-known from the physics lessons at school, but they are hardly covered in chemistry lectures; and it is still a chemical process by means of which researchers have succeeded in controlling magnetic properties in bulk ferromagnets. 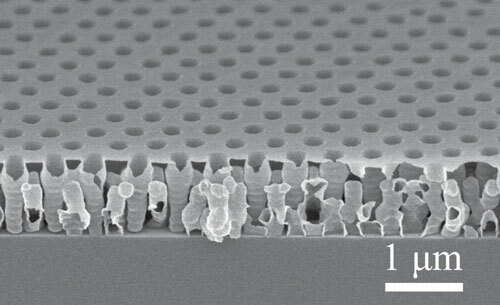 Researchers have developed a dielectric film that has optical and electrical properties similar to air, but is strong enough to be incorporated into electronic and photonic devices - making them both more efficient and more mechanically stable. Scientists have developed a new way to store information that uses ions to save data and electrons to read data. 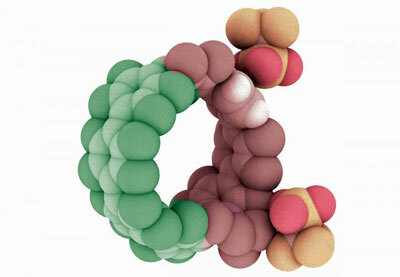 This could enable the size of storage cells to be reduced to atomic dimensions. But that is not the only advantage of the new technology, as the researchers report. 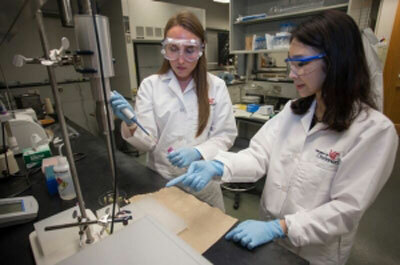 Researchers are working to develop effective nanoparticle-bubble drug delivery systems to access precise locations in the body to treat medical conditions such as cancer, eye disease and spinal disc degeneration. 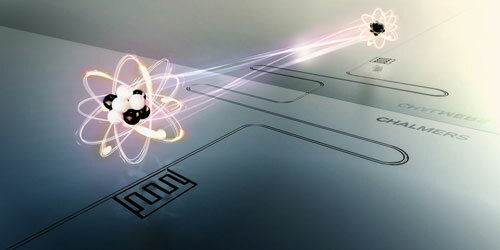 The shortest electron bunches ever were produced by focusing a high-power laser pulse into a supersonic helium gas jet. Researchers have accidentally discovered a new way of using light to draw and erase quantum-mechanical circuits in a unique class of materials called topological insulators. Scientists are creating a new kind of research tool that will be nearly indistinguishable from the human gastrointestinal tract. 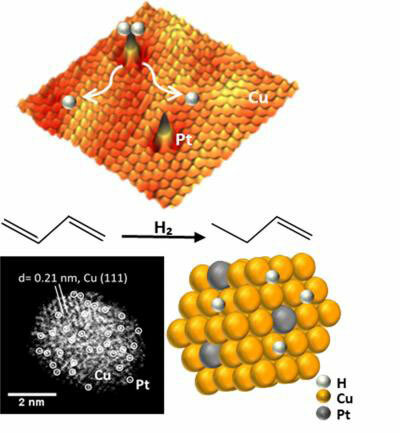 New generation of catalysts demonstrated for selective hydrogenation of butadiene. 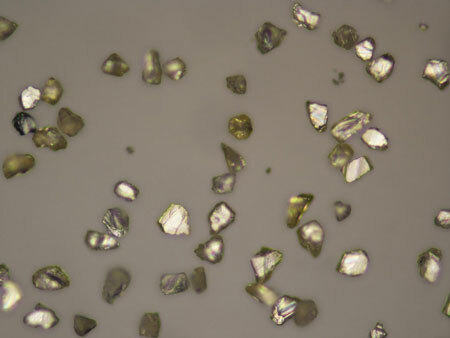 New findings reveal how a nanoscale, synthetic version of the precious gem can light up early-stage cancers in non-toxic, non-invasive Magnetic Resonance Imaging (MRI) scans. 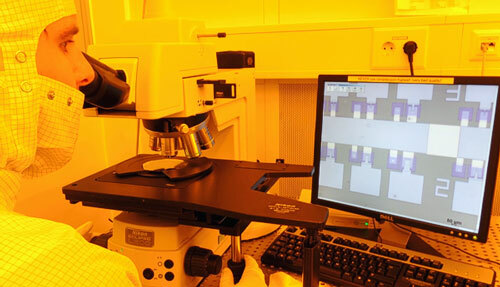 New research provides researchers with a new, simpler method to measure nanomaterials' resistance to bending and stretching, and opens new possibilities for creating nano-sized objects and machines by controlling and tailoring that resistance. 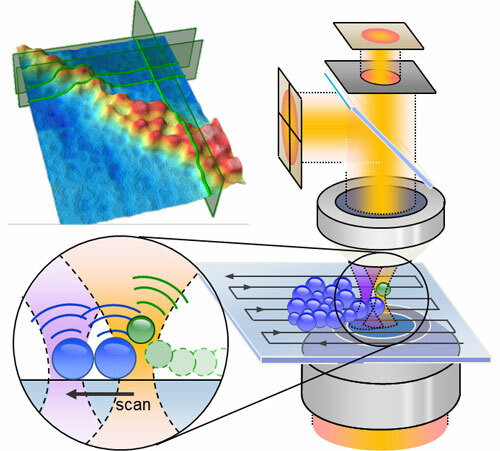 Researchers have developed a method for measuring soft, structured surfaces using optical forces. The tiny transistor is the heart of the electronics revolution, and materials scientist have just discovered a way to give the workhorse transistor a big boost, using a new technique to incorporate vanadium oxide, one of a family of materials called functional oxides, into the device.